John Fanta lives and breathes Big East Basketball. He’s been a commentator for the Big East Digital Network the past few years. Just recently, he announced he’ll be starting a new job as a commentator for Fox Sports 1 and do play-by-play for five games this season. Photos from Big East Media Day at Madison Square Garden on October 25, 2018. As the month of August winds down and another summer without college basketball comes to a close, the excitement begins to build as another year of close competition in the Big East Conference looms. However, this season isn’t as a clear cut as last season. A few days ago, we tweeted out Sports Illustrated’s power rankings. Thursday’s afternoon session of the Big East Tournament at Madison Square Garden kicked off with top seeded Xavier and the hometown favorite, St. John’s. The second game of the afternoon featured a tightly contested matchup between Creighton and Providence. We are hours away from the Big East Tournament kicking off at Madison Square Garden in the heart of New York City. For those of you that haven’t been paying attention, the Big East teams have been beating the life out of each other over the last month, and now it all comes down to a four-day tournament to see if anyone can steal the title or a bid to the Big Dance. 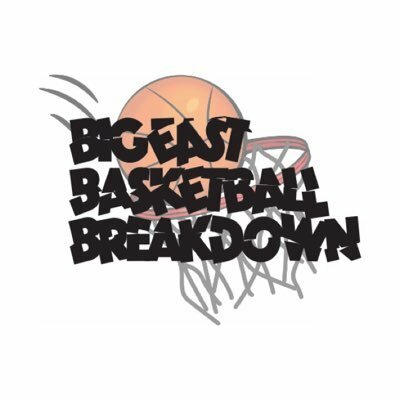 Have an opinion on your favorite Big East team and want to share it? Then join the team! Our goal is to have quality content for every team in the Big East Conference. If you’re interested, let’s get you set up to write! To do so, email or message me with your name and team you wish to cover.